When will Ukrainian products fill the EU counters? Ukrainian economy requires reforms in technical regulation area, which will ensure the competitive products production by domestic manufacturers and therefore it will substantially increase the export potential of Ukraine and reliably protect the domestic market from low-quality products. These issues were discussed at the conference “Strategy of Ukrainian Technical Regulation System Development” on July 23rd in Kyiv organized by the Ministry of Economic Development and Trade of Ukraine. ‘The EU has temporarily removed customs duties on Ukrainian exports, but Ukrainian business is not in a hurry to enter the EU market’, – Prime-minister of Ukraine Arsenii Yatseniuk noted recently after the EU proposed temporary tariff cuts for Ukrainian exports in April. 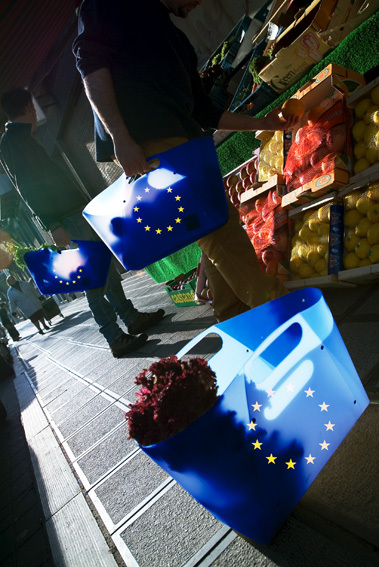 However elimination of taxes is not enough for Ukrainian products to fill the EU counters. 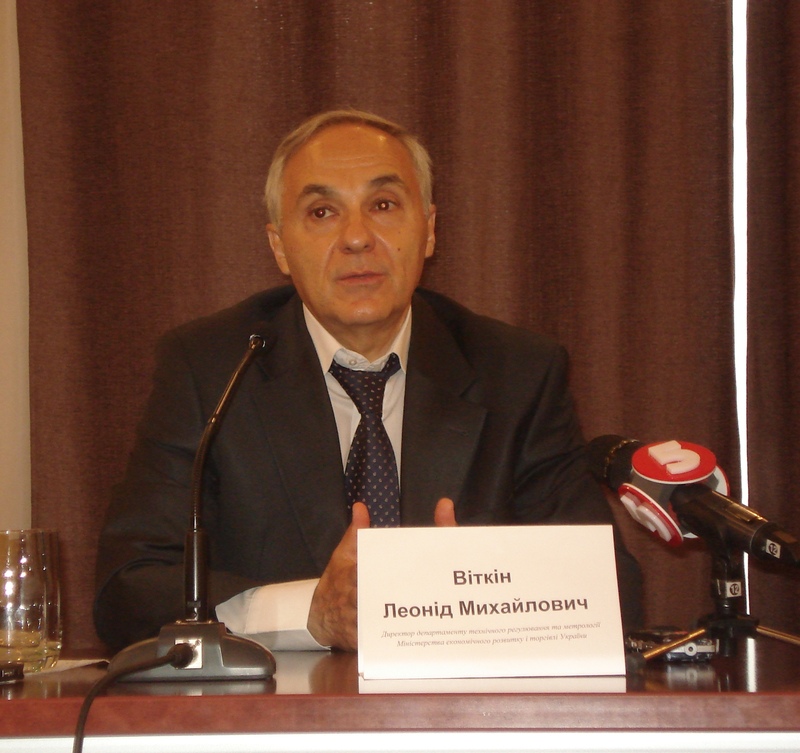 “When product is crossing the border it has to go through two types of barriers, – the import taxes, or the so called tariff barriers, and the technical barriers”, – Stefanos Ioakeimidis, the Team Leader of the EU-funded project “Complementary measures to the Sector Policy Support Programme “Promoting Mutual Trade by Removing Technical Barriers to Trade between Ukraine and the European Union” explains. – “While tariffs depend mostly on political decision, technical barriers are much more complicated as they concern specifications, control measures, accreditation of those who perform the control etc. which require numerous efforts and long-time”. At the conference Pavlo Sheremeta, Minister of Economic Development and Trade of Ukraine, mentioned that for the time being there are three most important objectives to speed up Ukraine towards European integration. This is firstly, the need to provide Ukrainian products with a free access to world markets. Secondly – professional work on the harmonization of national standards and their regulations with the international (especially with European) ones. Thirdly – a decisive struggle against corruption that hampers the work and discredits the state. These tasks were partly solved by the two new important legal acts – “Law on Metrology and Metrological Activity” and “Law on Standardisation” adopted by the Ukrainian Parliament on 5 June 2014. Both aim at creating an effective and transparent system of metrology and standardisation, while reducing corruption-inducing conflict of interests. Now Ukraine entered the new stage of the reform and is facing new challenges. “Removal of technical barriers to trade is to be achieved through the alignment of the Ukrainian technical regulation system to the European system known as ”New Approach” and more recently as “New Legislative Framewor”. This policy support program foresees 4 areas of intervention: regulatory approximation in two areas, which is horizontal legislation for the functioning of technical regulation system as a whole and sectoral legislation for specific product categories. 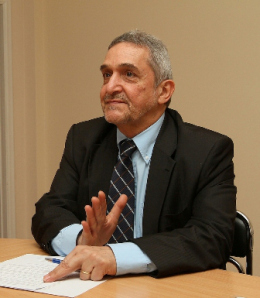 Another area of intervention is the adoption of the EU standards, and finally – the upgrading of infrastructure, which concerns equipment for testing laboratories, development of the information exchange systems in the area of market surveillance and management information system for standards”, – Stefanos Ioakeimidis stated at the conference. – “We have nearly completed horizontal legislation and hope that under this achievement progress will be even more spectacular in the future”. “ It is well known that for many producers conforming to the EU technical requirements may represent some difficulties. This is especially topical for those who for many years have proposed their business activity at the so called traditional markets represented mainly by CIS countries. We can also read in media about the potential loss at the traditional market.” – Borys Philipov, coordinator of the “Private sector development” department at the EU Delegation notes. But Mr. Philipov believes that despite the difficult work ahead, the implementation of the Association agreement will not only facilitate Ukraine’s external trade, but will also promote the real economic modernization and new opportunities for Ukraine. “Excessive administrative procedures prevent Ukrainian producers from updating their assortment and increase the quality of products. 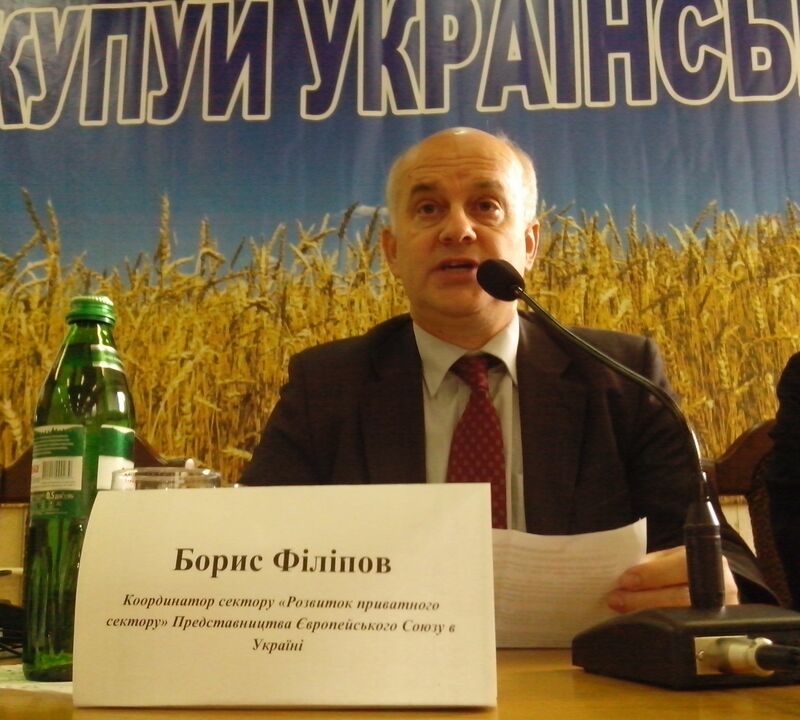 But it is difficult to change business approach without the support of nongovernmental organisation, business and communities,” – Leonid Vitkin, Head of the technical regulation department at the Ministry of the economic development and trade of Ukraine, concluded. 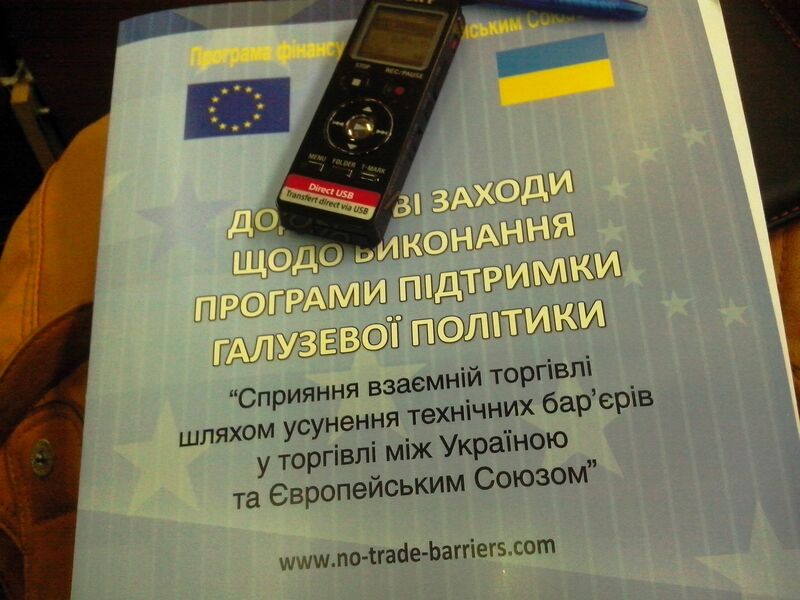 To remove technical barriers to EU-Ukraine trade, the EU launched a Sector Policy Support Programm worth €45 million. The Programme comprises direct budget support and a technical assistance. The Ministry for Economic Development and Trade is implementing this programme with the support of a Technical Assistance Project, which is also funded by the EU. It started in 2009 and will be continued until December 2014. ← How does the European life look like?